Since we began in 1974 our goal has been to provide an amazing summer camp experience for children of all ages. We provide a safe environment in a Torah-true community where campers experience new activities, build self-esteem, develop lasting friendships, and collect a lifetime of memories all while reinforcing our common Jewish values and love of Israel. We are committed to ensuring that each camper has an awesome summer and counts the days until their next summer at Camp Seneca Lake. Irv Bader is the founder and Director of Camp Seneca Lake. He has been a camp Director for the past 43 years, and hires all his staff members, and oversees the entire camp operation. He makes sure that all campers’ religious, social and athletic needs are met. Irv has been able to retain key staff members at camp for many years. Irv is also the Chairman of the Physical Education Department and Athletic Director at Touro College, and Coach of Touro College Men’s Basketball team in New York, NY. Prior to heading up Touro College’s Athletic Department, he was the Athletic Director at the North Shore Hebrew Academy High School in Great Neck, NY and Flatbush Yeshiva in Brooklyn, NY. He was also the Director of the Adapted Physical Education for the New York City Department of Education for 28 years and a retired Professor of Physical Education at Brooklyn College for 26 years. 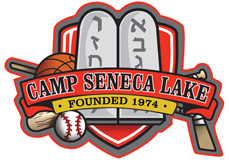 Since 1974 Camp Seneca Lake has provided the experience of a lifetime at camp and on the fantastic trips taken yearly. More than 80% of our campers have parents or relatives who were Seneca campers in the past. CSL has a history of introducing something new each and every year, keeping us as the #1 camp in the modern orthodox Jewish world. The Seneca Family is proud of our reputation providing amazing summers to our campers and their families. Our success over the past 43 years had enabled us to continuously provide our campers with a safe, happy, memorable Jewish experience.